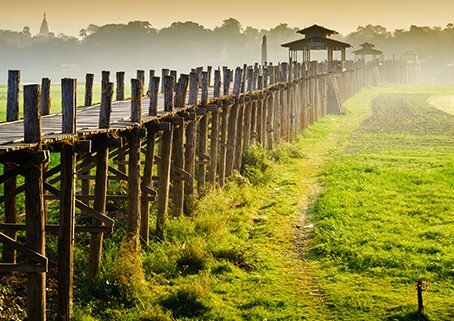 Rakhine State in western Myanmar has a long and proud history and a rich cultural tradition. Once a thriving trading hub and a major producer of rice in Asia, Rakhine today is one of the poorest states in Myanmar, plagued by intercommunal tension and conflict, and the subject of intense international debate and scrutiny. The vast potential of the state remains largely unexploited for the benefit and welfare of the people of Rakhine. is a national entity and the majority of its members are from Myanmar. It was mandated to examine the complex challenges facing Rakhine State and to propose answers to those challenges. At the behest of the Ministry of the Office of the State Counsellor of the Republic of the Union of Myanmar and in collaboration with the Kofi Annan Foundation, the Advisory Commission on Rakhine State was founded in September 2016 as a neutral and impartial body which aimed to propose concrete measures for improving the welfare of all people in Rakhine state. In August 2017, it presented its final report “Towards a Peaceful, Fair and Prosperous Future for the People of Rakhine”. The Commission was composed of six local and three international experts, and is chaired by Kofi Annan. In its work, it considered humanitarian and developmental issues, access to basic services, legal questions including citizenship and the assurance of basic rights, and security to all people in all communities. It presented its final report and recommendations to the Government of Myanmar on August 2017. What was the role of the Advisory Commission on Rakhine State? The Advisory Commission was asked to provide recommendations to the Government of Myanmar to secure peace and prosperity in Rakhine State. The Commission did not make decisions on behalf of the people of Rakhine or Myanmar. Since the Commission released its report in August 2017, it is now up to the government and the elected representatives of the people of Myanmar to decide which recommendations to take forward, and how. On which issues did the Commissioners focus? The Commission’s mandate covered a range of issues, including development, strengthening of institutions, humanitarian assistance, reconciliation and conflict prevention. In addressing these issues, the Commission sought to engage with all communities in Rakhine in a fair and balanced manner. Who funded the Advisory Commission on Rakhine? As a joint project of the Government of Myanmar and the Kofi Annan Foundation, the costs of the Advisory Commission were shared. The Government of Myanmar covered a significant proportion of the costs; the balance was mobilised by the Kofi Annan Foundation from governmental partners. 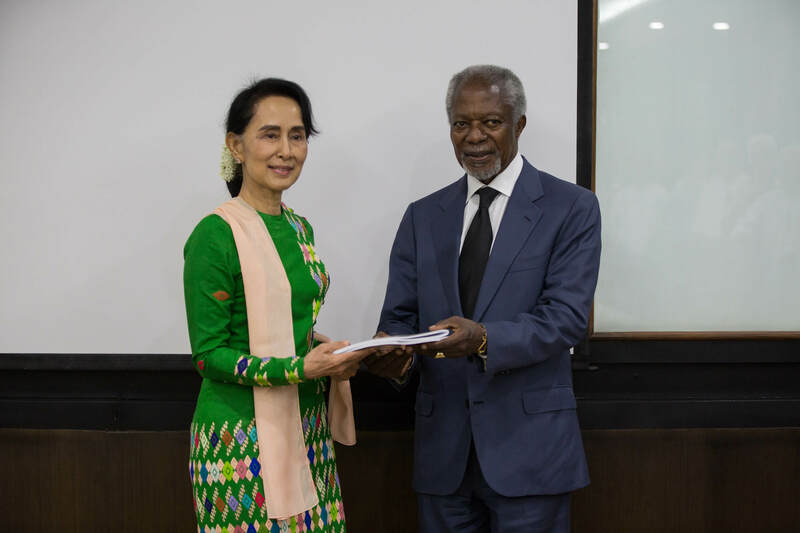 The Kofi Annan Foundation received support for its Rakhine Commission work from the Governments of Denmark and Norway, as well as from the Swedish Postcode Fund. Why were non-Myanmar nationals included in the Commission? The Commission was established at the request of the Myanmar government; six of a total nine commissioners were Myanmar nationals. The decision to implement – or not – its recommendations now rests with the Government of Myanmar. The international members offered advice and shared experiences from other regions and countries which have faced similar challenges. Who did the Commissioners work with? In developing their recommendations, Commissioners listened to the concerns of all relevant communities and institutions. It engaged in consultations and dialogues, particularly with those who best understand the challenges facing the State, the local communities in Rakhine. What was the commission’s view on citizenship questions? The question of citizenship and freedom of movement was examined among other important issues. The Commission has presented practical recommendations that will benefit all communities. What were the main activities of the Commission? To develop its recommendations, the Commission held a series of consultations and dialogues with groups in Rakhine State and met with local religious and community leaders, elected representatives and experts. It also engaged with Myanmar’s neighbours to encourage the development of a regional response to issues of joint concern, such as cross-border migration and border security.